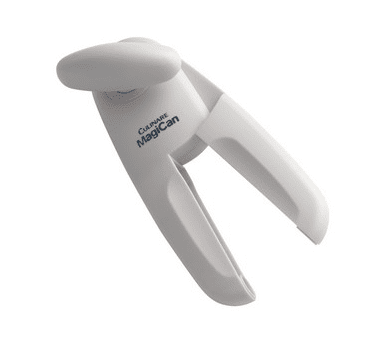 The award winning culinaire can opener simply clamps on the top of your can. Twist the handle and the lid comes off smoothly. Care should be taken to avoid contact with the rim of the can once lid is removed.